Have you ever considered what a leader really is? What does leadership look like? A leader is someone who demonstrates the superior ability to make powerful interpretations of situations and has the capacity to do something about it. Leaders make offers of help that allow followers to think and act effectively. 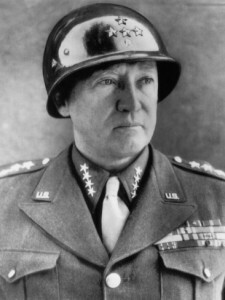 General George S. Patton Jr. said “Never tell people how to do things. Tell them what to do and they will surprise you with their ingenuity.” Being a leader means that you must be able to design, craft and speak offers, ideas and interpretations that followers accept as the best course of action. Have you ever considered the fact that true leaders are chosen by their followers? What do you think happens when you choose to follow someone who really doesn’t have a clue what they are doing? Powerful leaders actually toggle between leadership and followership roles. It’s impossible for someone to be a leader in every domain, so knowing when to step up and lead and when to follow is an important skill. So how do you become a leader? First, you must accumulate specific knowledge in the domain. Notice, observe and assess ways to improve our systems. Make new interpretations on how to do things better, or easier. Increased ability to plan, install and reflect upon what does and doesn’t work so well. Join other fellow experts to expand your knowledge and grow – maybe join the Lean Construction Institute (LCI) and start learning and sharing best practices with those who have been practicing Lean for years. Do you see how the above situation could impact your life? You could go down a successful path you hadn’t previously thought of and become an expert in something you didn’t know anything about a few years ago. You could end up making more money and progressing through your career at a faster rate. What are you doing to gain knowledge in order to make powerful leadership offers? I want to hear from you! My direct line is 480-607-8206.